This is it. The OG. 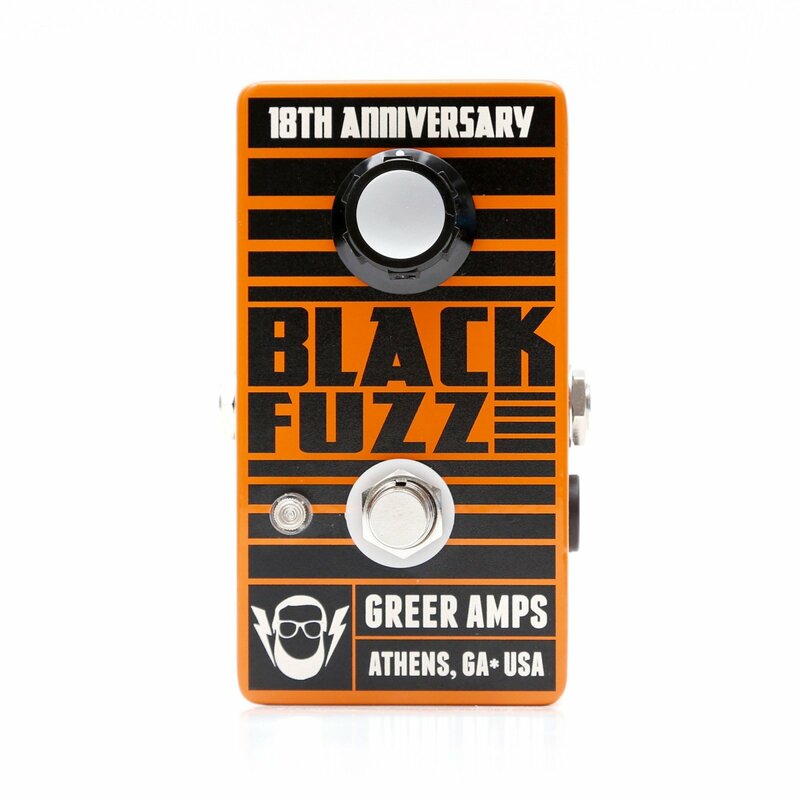 Greer's first stompbox offering reissued for their 18th anniversary in all it's fuzzy glory. Imagine the most desirable of vintage tweed amps cranked to oblivion with a bit of fuzz added for extra bang. This is the Black Fuzz. Its lone volume knob is all you need to get rocking, as Black Fuzz was designed to work in tandem with your guitar's controls. It's fat. It's loud. It's super duper responsive to your attack and volume level. If you need a little bit or raunch in your tone, look no further than the Black Fuzz.